DORIC TEAM is a minimalist, zero-setback seatpost focused on essentials: comfort, security, and ease of use. 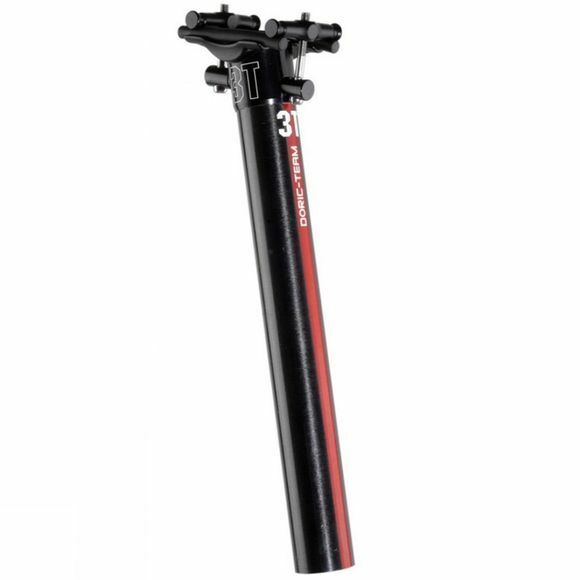 The carbon-fiber shaft is very light and compliant, soaking up road shocks. The 2-bolt alloy clamp gives accurate control over saddle angle so the rider is positioned correctly on the bike â€“ a key factor for extended racing. Like the Ancient Greek architectural column it gets its name from, DORIC is built to provide elegant, robust support that stands the test of time.